Icicles is made from a black material with a white belly. He has orange and yellow cheeks and a yellow flash at the top of his chest. 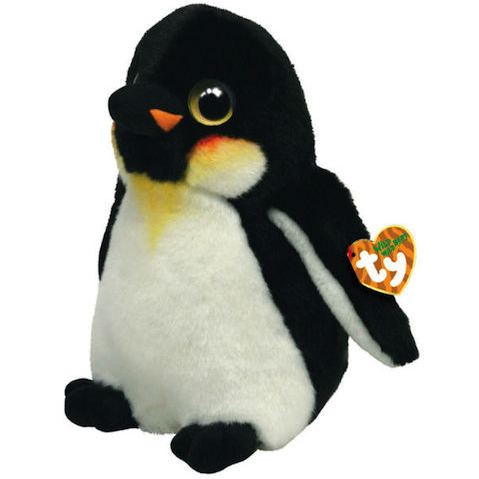 Icicles has large gold and black button eyes and a black and orange beak. He has black feet and white under his flippers. Icicles was introduced on 1st January 2011. He sold out on 23rd July 2012.